MANILA, Philippines – The government’s forfeiture petition against the Marcos family’s art collection was halted on Monday, August 8, following a request by lawyers from the Presidential Commission on Good Government (PCGG) and the Office of the Solicitor General (OSG) to have a partial summary judgment rendered that would help clear up questions on the ownership of the art pieces. The Sandiganbayan was ordered to turn over the records for the government’s forfeiture case – Civil Case No. 0141 – to the Supreme Court. A letter dated July 5 was sent from the office of SC deputy clerk of court and Judicial Records Division chief Basilia T. Ringol to then-Sandiganbayan executive clerk of court Renato Bocar. The letter cited a directive from the Office of Chief Justice Lourdes Sereno. Thirty-five volumes of case records – some 17,238 pages of documentation that include the original complaint and the rulings of the Sandiganbayan’s First Division from the original December 17, 1991 filing – were delivered to the Supreme Court. Also delivered were 3 envelopes with exhibits submitted by the PCGG-OSG. As a result of the turnover of records, the proceedings of the case have been deferred. 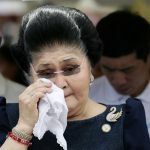 This is despite the government’s motion from July 3, which sought that Ilocos Norte Representative Imelda Marcos waived her right to contest this forfeiture as she failed to file her opposition to the forfeiture even after being given the chance to comment on it. On March 17, The Sandiganbayan previously gave Rep. Marcos and her children 30 days to file comments or oppositions. 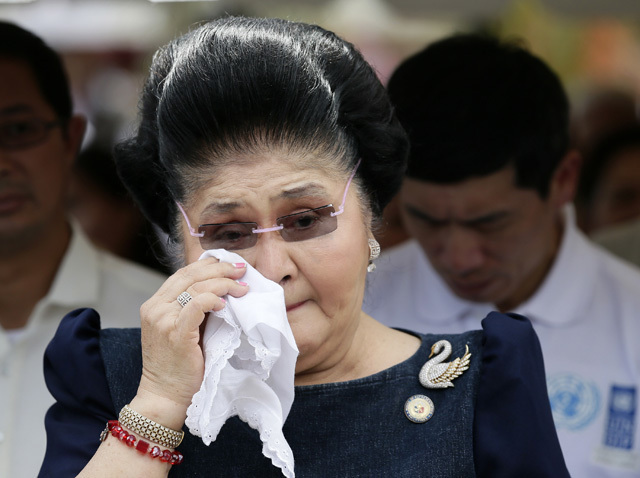 While the Marcos estate filed objections on April 15, Rep. Marcos requested two extensions. Despite these extensions, a comment was not filed as of July 3, which pushed government lawyers to ask the court to declare her as having waived her right. The waiving of her right would include a presumption that deems she admitted the facts in the government motion. The PCGG-OSG added the art collections being disputed are made up of paintings and art pieces collected over several years by Mrs. Marcos, the total cost of which (more than 30 years earlier) was placed at around $24 million. The PCGG-OSG added the collection should be confiscated and handed to the government as part of the Marcos family’s ill-gotten wealth. This is based on a Supreme Court declaration in which it noted the combined incomes of the Marcos couple from 1966 to 1986 only amounted to around $304,372.43. The PCGG said there were three lists of artworks the government is attempting to retrieve. The first is made up of 152 paintings with an estimated value of $11.84 million. The second has 27 paintings and sculptures reportedly found at the sequestered Metropolitan Museum of Manila and is assessed at $548,445.48. Finally, there is also the Grandma Moses collection of 12 paintings by Amercian artist Anna Mary “Grandma Moses” Robertson, which is said to have been purchased for $372,000.